Just like humans, more and more dogs are getting sick due to auto-immune disorders. What sets these health issues apart is that they are disorders where the body attacks itself. I’m sure you’ve heard of some of them. They include Rheumatoid Arthritis, Lupus, a variety of Thyroid conditions, Inflammatory Bowel Disease, etc. 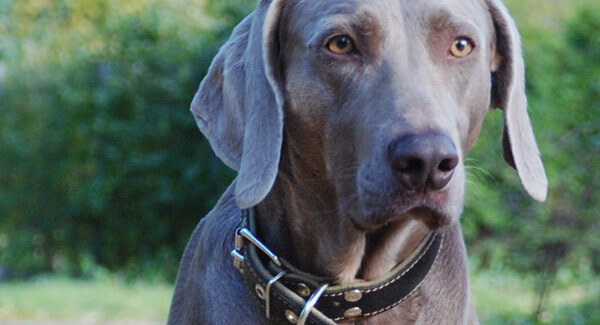 Have a read of Canine Naturopath Lyndall Pinchen has to say about natural ways to treat these conditions. The immune system is a complex defence network of white blood cells, antibodies, and other substances that fight off infections and reject foreign proteins. In dogs with auto-immune disease, the immune system fails to recognise itself and begins to attack and reject the body’s own tissue as foreign. Common symptoms can include intense soreness in certain parts of the body, itchy, flaky skin, inflamed ears, excessive licking of the front paws, and swelling of the toes. While actual causes are not truly known, it is believed that virus challenge and other microbial infection, environmental toxins, vaccination, overuse of antibiotics and steroids as well as chemical parasite products, trauma and deep chronic stress as well as nutritional deficiency/inappropriate diet may give rise to an autoimmune condition. In particular, there is a very strong link between vaccination and autoimmune conditions. Genetics may also play a role. Any process that damages the immune system can be a causative factor. Any dog that is suffering from an autoimmune disease is also at risk of developing hypothyroidism (low thyroid function). Thyroid hormones affect almost every organ in the body and therefore, many signs of this disease can be common. These include lethargy, depression, obesity (despite normal feeding amounts), hair loss, skin and ear infections, and weak or torn knee ligaments. Should this disease be suspected, initial screening blood work by your vet should be performed. Autoimmune Hemolytic Anemia (AIHA). In this disorder, the pet forms antibodies against its own red blood cells, causing anaemia. Hypothyroidism. The pet forms antibodies against its thyroid gland. Immune-Mediated Thrombocytopenia (ITP). In this disorder, the pet forms antibodies against its own platelets, causing reduced blood-clotting ability. Pemphigus. A number of disorders make up the pemphigus complex of diseases. In these disorders, the pet forms antibodies against its skin. Rheumatoid Arthritis (RA). In this disorder, the pet forms antibodies against its own joint tissues, causing lameness and arthritis. Systemic Lupus Erythematosus (SLE). Also called lupus, in this disorder, the pet forms antibodies against a number of its tissues, including blood cells, skin, and the kidneys. A generalised auto-immune disorder will often show as inflammation of the body orifices and of the toe-nail beds, since these tissues are rapidly multiplying and are therefore the most vulnerable. This is called ‘pemphigus’. Some types can ‘target’ specific organs or tissues and are characterised by the breakdown in the involved tissues, leading to serious malfunction. Obviously, the more vital an organ or tissue involved, the more serious the disease. The conventional treatment for autoimmune disease in dogs focuses on the inhibition of the hyper(over)active immune system. A vet will usually recommend corticosteroids, such as prednisone or prednisolone which of course are not without their side effects. Using a natural approach can be beneficial to help support the body especially if conventional medications are being used as well as helping to address underlying causes. It is of course important to get an accurate diagnosis of the condition to be fully aware of how to approach treatment and always remember to work in with your vet with any natural regime, where possible. This is especially important with autoimmune conditions as they are multifaceted and regular monitoring of blood levels etc is necessary. Liver/Bowel cleansing using herbs, chlorophyll (helpful to remove many toxins including heavy metals ). General detoxification of other major elimination channels including kidneys and lymphatics. A vaccine ‘detox’ (I like to use a homeopathic one) is also highly recommended if conventional vaccines have been administered at ANY time. Heal and rebalance gut immunity (gut healing powders, probiotics, enzymes) – around 80% of the immune system resides in the gut tissues! Immune support – Medicinal mushrooms such as Reishi, Zinc, Vitamin C, herbs. These work to balance out the immune system. Control stress response via nervous and endocrine systems with herbs and nutritionals including B complex vitamins and magnesium. November 28, 2013 | Filed under Canine Health, Uncategorized. 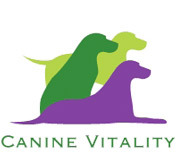 I found your website when I typed in ITP for dogs and holistic treatment. My one dog has been diagnosed with ITP. I want to do things holistic for her. Your site has a lot of great articles. Thank you very much.